Time to meet another of the many amazing people that play a part in The Cathedral Quarter! 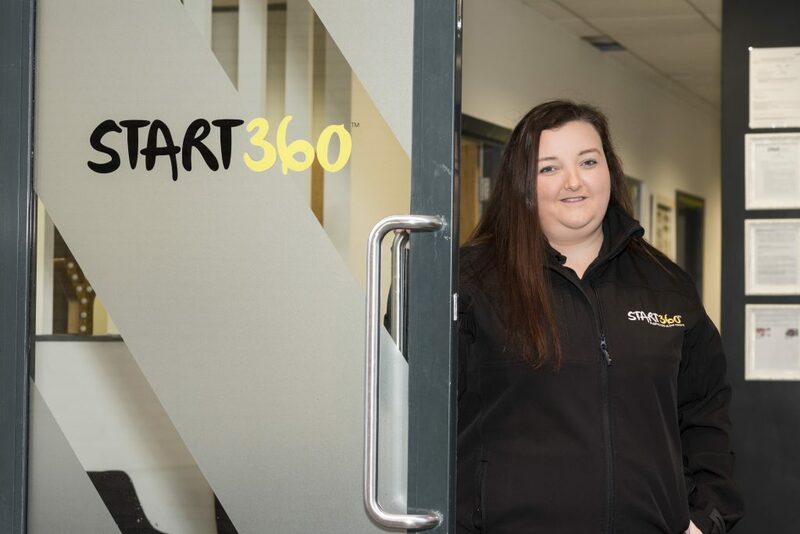 This week, we introduce you to Amy Selby, a youth keyworker for Start360, based in their Cathedral Quarter office. The charity delivers a wide range of projects and services supporting young people and adults across Northern Ireland. Their work includes employment and education services, work around addiction and substance abuse, mentoring, citizenship, and life skills. 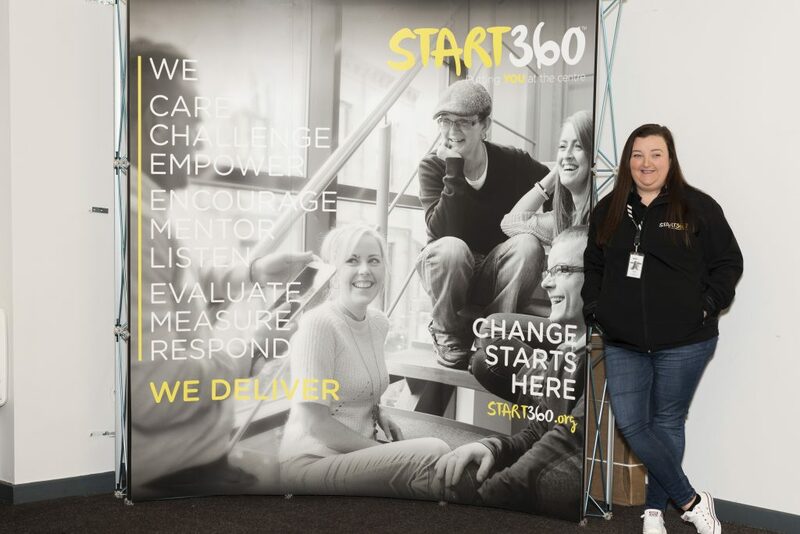 Amy is something of a poster girl for the work done by Start360 – she was inspired to become a youth worker through engaging with their work herself as a young person and has come ‘full circle’ (360 degrees, you could say!) by working for the organisation. Not only has she become a key worker, she has overcome the challenges posed by her dyslexia to gain a university degree with first-class honours. Having “hated school”, Amy enrolled on a business administration course at Impact Training in her late teens. 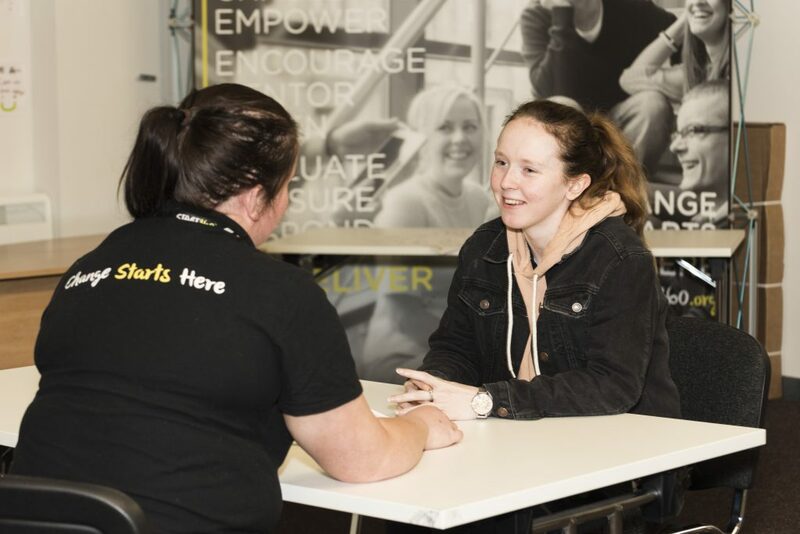 While there, she undertook an OCN (Open College Network qualification) delivered by facilitators from Start 360 (which was known as Opportunity Youth at the time). “When Edel and the other staff used to come in, I said to my tutor ‘I want to do what they’re doing’. One day, two people from Springboard came in to Impact and said ‘We have a youth work programme, do you know anybody who would want to do it? '” The tutor sent them to Amy and she took up their offer of a place. “I ended up getting a job in Springboard after I did the programme and then I got a job in integrated services for children and young people. 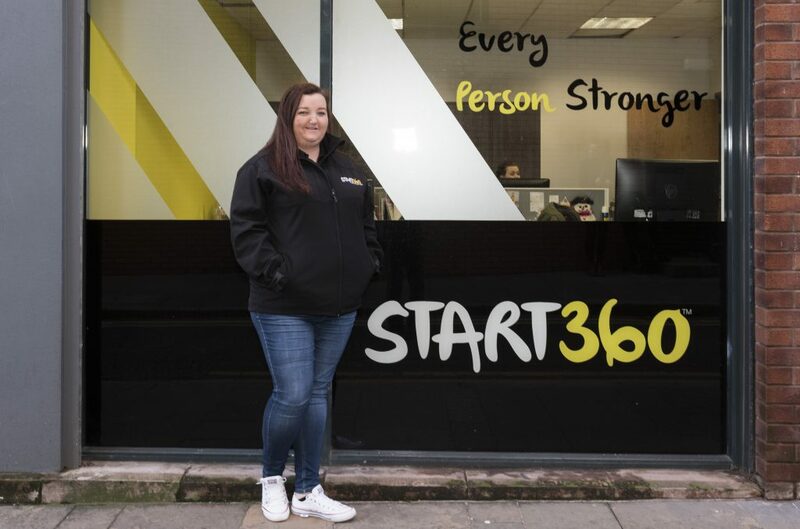 I took a break when I had my son and then I got back into work with a job at Start360.” Amy started working for Start360 as an administrator, but when a vacancy for a key worker came up, she jumped at the chance to work directly with young people again. Amy is currently employed as a key worker on The Futures Project, a six-month personal development programme for 16- to 24-year-olds which Start360 deliver in partnership with Belfast Met and the Northern Ireland Housing Executive, supported by EU Peace IV funding. Amy describes The Futures Project: “It focuses on good relations, personal development and citizenship, and within that, young people gain OCNs under those titles. My job within that project is as a key worker for one-to-one support, so sometimes young people aren’t ready to go to tech or college, and my job is to support them. The project delivers an OCN Level 2 qualification (equivalent to GCSE level) as well as volunteering experience, a small financial incentive (£8 per day of attendance) plus free travel and lunch, and assistance with childcare. Amy’s work fits in around the more structured elements, offering mentorship and support that suits the young person’s needs, whatever they may be. The variety of work Amy does in her role is massive – one young person living with autism learned to use the bus and to cook a meal under her guidance – having previously had no confidence to leave their home, they also now volunteer with The Belfast Giants and are learning to ice skate. Another group of young men have fled war in their home country and Amy is working alongside an interpreter to help them work out their next steps in education. It’s not just service users who are supported by the organisation; as Amy tells us, this person-centred ethos extends to staff as well. Amy was supported through flexible working and staff support to study for her degree, which she completed with first class honours, and inclusion on The Dean’s List, which recognises the achievements of students who have consistently achieved high marks throughout their time at Ulster University. Staff autonomy and creativity is also nurtured, and Amy has relished the chance to bring her creative side into work. Using her crafting skills, she has led scrapbook-based group sessions, formed a crafting group for young people and generated hundreds of pounds for the organisation’s fundraising pot by making and decorating plates and homewares to be sold. 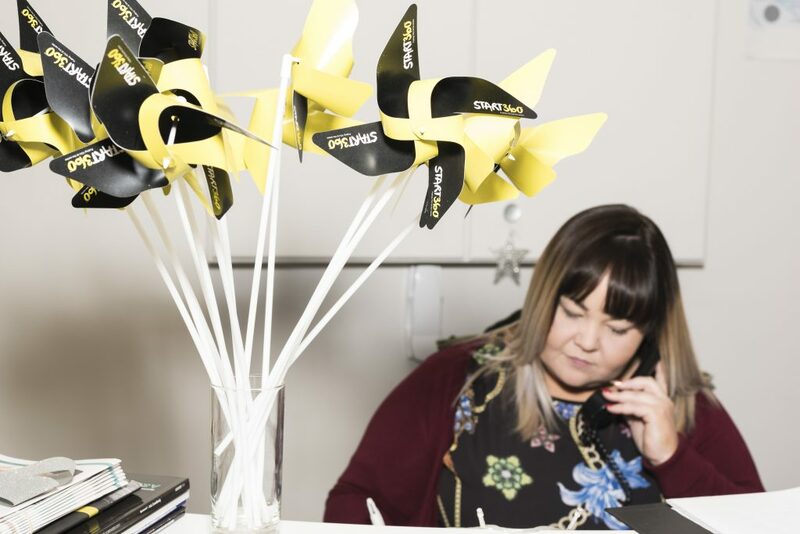 Amy has lived in North Belfast all her life and feels that a creative approach is needed to bring the nearby – yet still quite separate – communities into Cathedral Quarter; to realise it’s a place “for them too”. “I think you need to give people more opportunity to come into the area – like Culture Night is amazing because there is so much happening. People assume the city centre is just that bit where Primark was, and there’s more to it. “If there were more opportunities and draw into the area for the people who live a 10 or 15-minute walk away from it, I think it would be better. I don’t think people know enough about it either, they kind of assume the Cathedral Quarter is just business types, when realistically, anybody can come in and use the area. Like her long-serving colleagues, Amy hopes for a future at the CQ-based organisation. “A lot of people who work for Start 360 have been here years,” says Amy, “The person who’s been here longest has worked here for over 25 years. 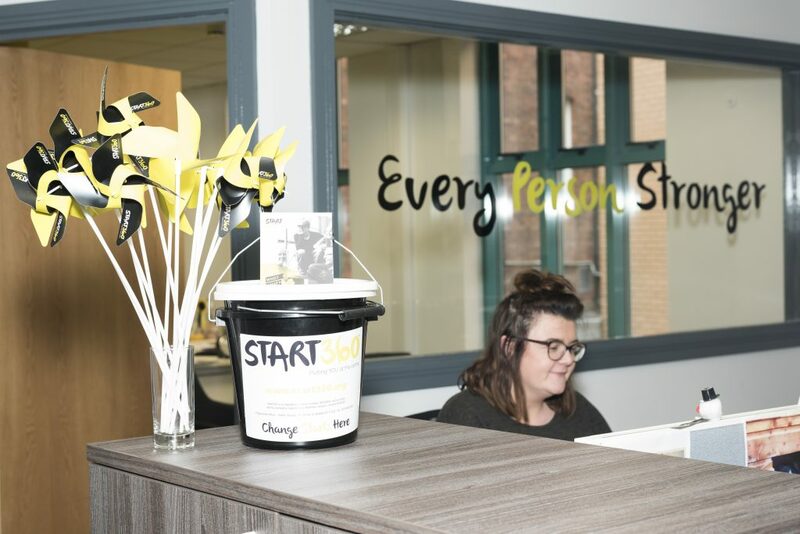 If you would like to know more about the work delivered by Start360, visit their website or connect with them on Facebook, Twitter and Instagram. 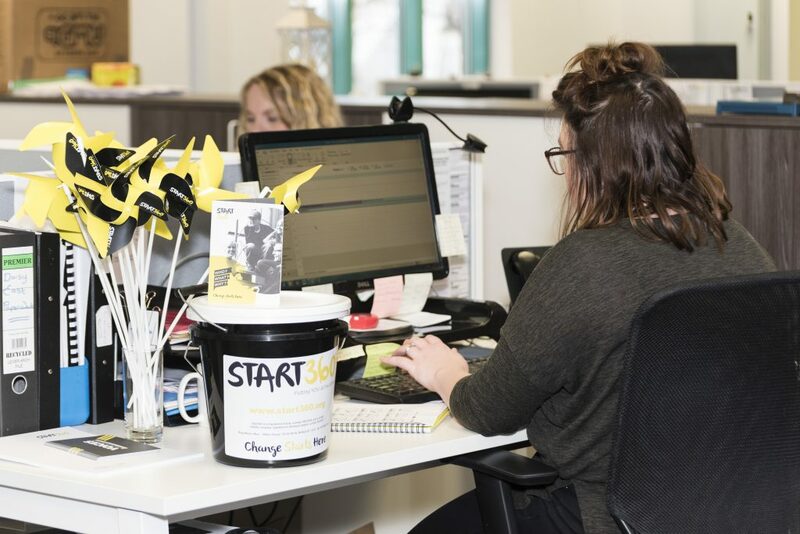 If you’d like to support the important work they do, please visit the Start360 Just Giving page.